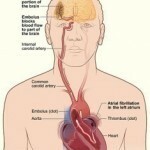 People usually have stroke when the supply of blood towards their brains are disturbed. In such cases, patients can suffer from hemorrhage, embolism or thrombosis, all of which can lead to ischemia or lack of blood supply. Patients exhibiting the signs and symptoms of stroke must be given immediate attention and care, as this chronic disease may cause undesirable complications, permanent neurological damage and may even lead to death. Here is a closer look at its signs, diagnosis and treatment options. 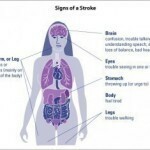 The signs and symptoms of stroke vary, depending on what particular portion of the brain is affected. For instance, when the central nervous system pathways are damaged, patients are expected to manifest signs like reduced vibratory sensation, numbness and weakness of the facial muscle. In many situations, only a side of the human body is affected. In cases where the cerebellum is affected, patients exhibit major symptoms like disequilibrium, altered movement coordination as well as trouble walking. When the brain stem is affected, patients can experience different kinds of symptoms including decreased reflexes, weakness of ocular muscles and altered sensations. Furthermore, these individuals can also feel altered heart rate, balance problems as well as decreased sensation especially in the face. When the cerebral cortex is affected, patients can have visual field defect, altered voluntary movements or apraxia and inability to speak or aphasia. In case of hemorrhagic strokes, patients usually experience minor symptoms such as vomiting and headache. Diagnosis of stroke is highly important especially in determining the causes and possible treatments for such severe medical condition. In the emergency setting, ischemic stroke patients are usually diagnosed using magnetic resonance imaging as well as CT scans. The same diagnostic procedures are also used for hemorrhagic strokes. Nuclear medical scans like PET/CT and SPECT are highly recommended for the assessment of stable stroke. In order to identify rarer causes of stroke like homocysteinuria, bleeding diathesis and hypercholesterolemia, medical experts can perform blood tests. Other helpful diagnostic exams include angiogram of the cerebral vasculature, echocardiogram and electrocardiogram. When detecting carotid stenosis, medical experts use ultrasound or Doppler study of the carotid arteries. Meanwhile, intermittent arrhythmias can be identified easily using a Holter monitor study. 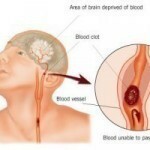 When dealing with ischemic stroke, patients can take dipyridamole, clopidogrel and aspirin, all of which are highly effective in preventing the aggregation of platelets. When dealing with thrombolysis, experts usually recommend patients to use tissue plasminogen activator, an effective medication known to unblock arteries and dissolve blood clots. In case of intracerebral hemorrhage, neurosurgical evaluation is highly necessary. For the rehabilitation of stroke, patients undergo occupational therapy and physical therapy.